The Quick Stand is the easiest and quickest way to display a real tree in the home. 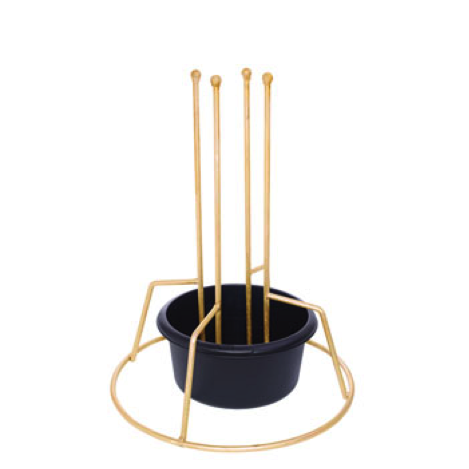 Finished in rust resistant gold coloured anodised steel, it is available in two sizes, suitable for trees up to 7′ (2.1m) and 10′ (3.0m) trees and supplied complete with a black bowl for substantial water holding capacity. Protected by Community Design Registration.